Map out your vision for the client experience and the portfolio solutions you want to offer. Collaborate with our portfolio team on your digital advice solutions. Validating performance on the rules based approach using Gravity’s industry leading optimization rules engine. Give them more for less. Use Gsphere to analyze, illustrate, propose, close, and onboard new clients. 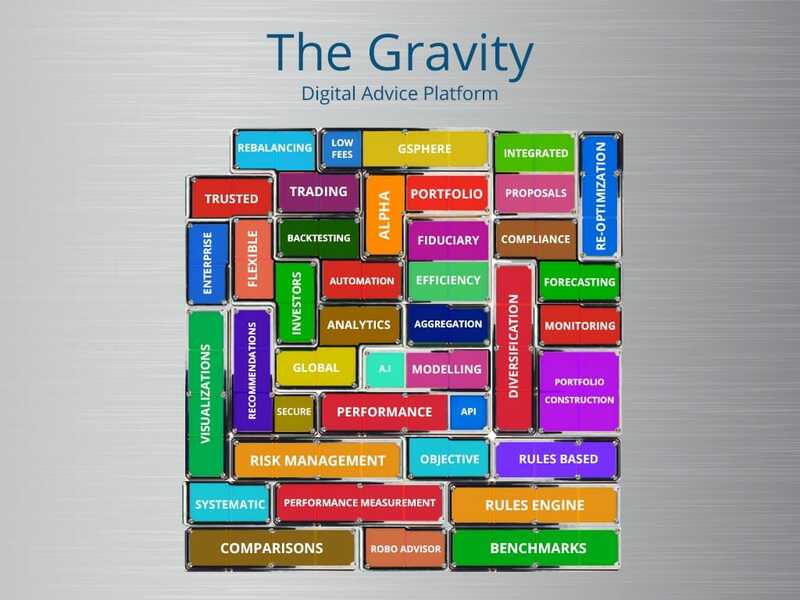 Step back while Gravity manages and automates the portfolio strategies. Step in to update the process anytime. Are you interested in learning more about our Gsphere Robo Advisor?